If an asteroid hit the earth it would be bad news for all of us; that much is obvious. But what exactly would happen? Mega Disasters features ten episodes describing unimaginable catastrophes such as an F5 tornado hitting Chicago, a major eruption of Mt. Rainier onto Seattle or a huge earthquake hitting Los Angeles. It uses evidence from past cataclysms and tells the story with real disaster film footage. Expect lots of experts predicting doom and tons of (slightly cheesy) computer graphics. Sometimes I feel like being completely awed by nature. This week I have talked about some of the smallest things (Molecules), some of the Oldest Living Things, and some of the cutest birds (Penguins and Chickens). But sometimes to fully appreciate these lovely things I have to imagine the most catastrophic. Many of this week’s science books are much more useful and appealing because they are visual. To get the full effect of a volcanic eruption (and not actually stand on an active geologic zone and risk pyroclastic flows and lava), I don’t think you can beat sound and action. Boom! Crash! Sizzle! Whoosh! Grab your popcorn, it’s time for a disaster movie! Some of these mega disasters have happened before, such as the asteroid impact that wiped out the dinosaurs millions of years ago, or a Yellowstone eruption that buried the entire Midwest in feet of ash, but these happened long before humans or human civilization were around. The effects on us today would be enormous and perhaps not predictable, but in true History Channel style, Mega Disasters tries to predict. It shows the familiar high-rise buildings of Chicago and then shows computer-animated effects of wrenching winds with flying glass and debris. The creators of the series based their predictions on current expertise and up-to-date knowledge. They interviewed many geologists, meteorologists, astronomers and other scientists. Most of the scientists appear to be unflappable people, so when they dryly state things like, “This entire area would be devastated with nothing left alive,” you know it’s time to sit up and take notice. My favorite episode is Yellowstone Eruption, because I am spellbound by supervolcanoes that could potentially kill most life on earth, as ably described in the teen novel Ashfall by Mike Mullin. Other good book tie-ins include nonfiction on the worldwide effects of a much smaller eruption, like Tambora, by Gillen D’Arcy Wood. Check the WRL catalog for Mega Disasters. Aviation disasters have been much in the news this past year with the most prominent stories being the mysterious disappearance of Malaysia Flight 370 over the Gulf of Thailand and the loss of Malaysia Flight 17 over the Ukraine. The media made much of these tragic events and the public avidly followed the articles because, despite their grievous nature, stories of airplane accidents are inherently gripping. Air disasters occur rarely but when they do the destruction is usually so large scale and dreadful that our attention is just drawn to them. Unlocking Disaster During United Flight 811 from Honolulu to New Zealand, the door to the cargo hold spontaneously opened tearing off a piece of the fuselage in the process and sucking several passengers out of the plane. The parents of one of the lost passengers worked tirelessly to identify the cause of the accident and hold the aviation industry responsible. Hanging By A Thread Aloha Airlines Flight 243 was flying 24,000 feet over the Hawaiian Islands when suddenly thirty-five feet of the plane’s upper fuselage peeled off, completely exposing the first five rows of passengers to the open sky. Can a passenger jet remain airborne with this much damage? Out of Control Twelve minutes into a flight from Tokyo to Osaka Japan, JAL Flight 123 mysteriously malfunctions and for over thirty agonizing minutes plunges up and down as the anguished crew fight to regain control of the plane. Fight For Your Life A suicidal company employee hitches a ride on FedEx Flight 705. Mid-flight he attacks the crew with hammers and a spear gun. The badly injured pilot looks for a place to land while his co-pilot, also seriously wounded, engages in desperate fisticuffs with their crazed passenger. Falling From the Sky While flying from Kuala Lumpur to Perth, Australia, British Airlines Flight 009 begins experiencing very unusual phenomena. A strange haze drifts into the passenger compartment. A “brilliant, white shimmering light” appears to be clinging to the plane and 20-foot long flames start shooting from the engines which then proceed to shut down one by one. Ghost Plane En route over Greece, tourist flight Helios 522 with 100 passengers on board cannot be contacted by anyone on the ground. Army jets sent to check on it find something very strange. The plane is flying normally but no one on board is moving. The plane’s occupants all appear to be unconscious or dead. What is going on? These are just a few of the many intriguing stories covered in a series that totals 12 discs. The first part of each episode uses film footage of the actual incidents, interviews with the people involved and recreations to show what happened. The second part explains why it happened. The accident investigation process is fascinating as scientists and aviation experts try to determine exactly what went wrong. You learn a lot about avionics, the airline industry and human behavior under extreme conditions. You also pick up some memorable, if occasionally creepy, factoids. Did you know that if you are unfortunate enough to somehow exit an airplane at 23,000 feet it will take you approximately four minutes to hit the ground? 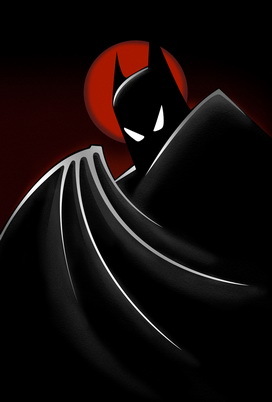 This show proved to be compulsively watchable. It’s the best kind of reality TV because it’s both educational and entertaining and despite the potential for being lurid, is not exploitative or overtly gory. However, if you have a fear of flying, you may find it disquieting. I’d recommend it for anyone with an interest in aviation, science or human drama. Ann Marie of the library’s Outreach Services Division shares this review of a television show. A hinterland is defined as the often uncharted areas beyond a coastal district or a river’s banks, or an area lying beyond what is visible or known. In the new Welsh detective series, Hinterland, the characters both literally and figuratively have to travel into the dramatic outlying areas of coastal Wales as well as into the outlying areas of Welsh society. 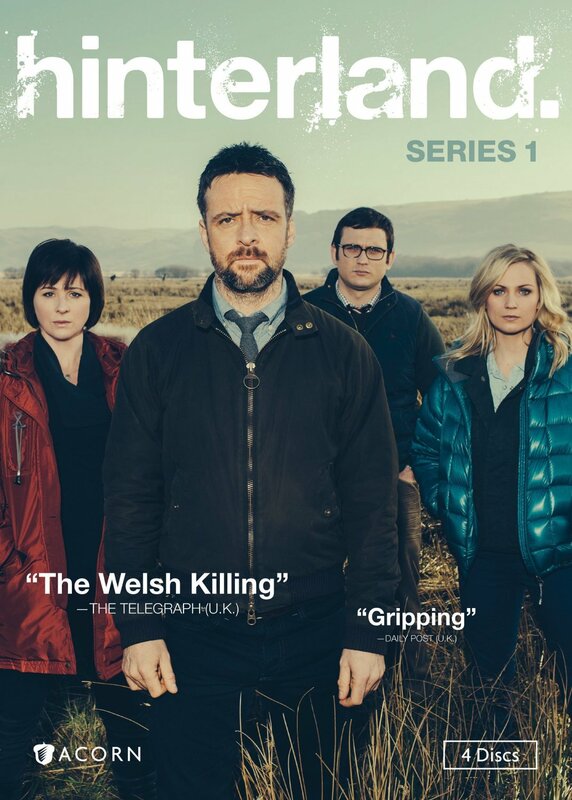 Hinterland is the first TV mystery series based entirely in Wales. The main detective is DCI Tom Mathias (Richard Harrington) who comes to the coastal town of Aberystwyth, Wales, after working for 10 years with the Metropolitan Police in London. His team consists of DI Mared Rhys (Mali Harries) a local woman who had wanted Mathias’ position, DS Sian Owens (Hannah Daniel) and DC Lloyd Ellis (Alex Harries). The series begins with a murder of an elderly woman, and Mathias arrives at the scene where he first meets his team before he has a chance to even report to the police station. Mathias and the other detectives have to learn to trust each other and learn each other strengths and weaknesses while working the case. Eventually the case leads the investigators to a former children’s home at the waterfall called Devil’s Bridge. Adding to the atmosphere of the dramatic waterfall, there’s also some intriguing folklore associated with the waterfall that involves an old woman, a loaf of bread, and Satan. Mathias discovers that the reasons for the murder lie in the past of the children’s home as he uncovers the home’s secrets. The personal lives of the detectives are not explored, but there are intriguingly brief glimpses into their present and past. As the lead detective, the series spends the most time with DCI Mathias. The DCI is a loner who seems to have some issues in his personal life. The reasons for his transfer to Wales from London are not explained, at least in series one. The issues surrounding the cases often force the detectives to travel to their own personal hinterland as they deal with their own reactions. Filmed entirely on location in the county of Ceredigion, Wales, the winter landscape provides a haunting backdrop to the gothic story lines. Whether it’s the stark rolling hills, the dense forests, or the crashing waves on the shoreline, the Welsh countryside is an important part of the series and helps to give the series an ominous and dark feeling. Each scene of the series was filmed in two languages—Welsh and English. The Welsh language version of the series aired in Wales in 2013 as Y Gwyll which means “The Dusk.” The BBC aired the English-language Hinterland this past winter, and series 2 is in production. This Welsh crime noir drama will appeal to those who enjoy mysteries of the dark and complicated type. 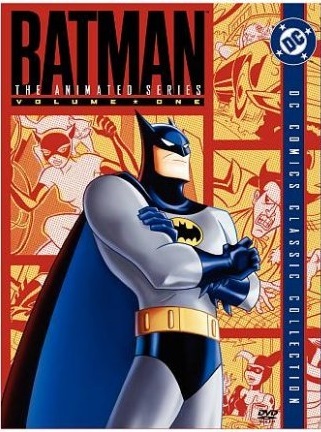 A different case is solved in each of the four episodes. I am always on the lookout for good television shows to watch with my family. A few months ago, I decided to give this Ellery Queen Mysteries series a try, and boy am I glad I did. This rare gem of a mystery show is based upon the Ellery Queen mystery stories written by Frederic Dannay and Manfred Lee. It has everything you could want in a great TV series: great acting, a good plot formula, interesting stories, superb sets, and of course, a fun musical theme by Elmer Bernstein that you will find yourself humming for days after watching the show. The cast of actors is excellent. Jim Hutton is great as the eccentric mystery writer Ellery Queen, who is brought in to solve difficult murder cases by his father, Inspector Richard Queen, played very well here by David Wayne. I liked the interplay between Ellery Queen and his father as they try to solve the cases together. Part of the fun was also watching Inspector Queen put up with his son’s eccentricities as they share an apartment together in New York City. I also liked Sergeant Thomas Velie (Tom Reese), the Inspector’s right hand man, who will often assist Ellery Queen. This show has a long list of supporting actors that reads like a who’s who of famous actors in the 1970s, including Betty White, George Burns, Bob Crane, Larry Hagman, and another favorite of mine, Rene Auberjonois. Ellery and his father are routinely hounded and challenged by two of my favorite characters, a pushy news reporter by the name of Frank Flannigan (Ken Swofford) and an amateur radio sleuth, Simon Brimmer (John Hillerman). Hillerman was my favorite actor on the show; his role as the the stuffy Brimmer, who always tries to one-up Ellery Queen by being the first person to solve the mystery on his radio show, was wonderful and brought to my mind the role he is most famous for, as the British snob Higgins in Magnum, P.I. In a few minutes, this famous cartoonist will be dead. Who killed him? Was it the ambitious lettering man? The layout expert? The background artist? The figure specialist? His disillusioned secretary? Or was it someone else? Match wits with Ellery Queen, and see if you can guess who done it! 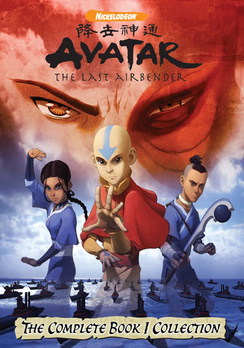 The show was written and produced by Richard Levinson and William Link, who emphasized non-violent shows that depended on logic and deductive reasoning rather than weapons to solve a crime. They are best known for shows like Mannix, Columbo, and Murder, She Wrote. And speaking of Murder, She Wrote, there are many similarities between it and Ellery Queen Mysteries worth noting. Both have great stories and acting (Angela Lansbury as Jessica Fletcher is a real treat) and both feature a protagonist that is a mystery author. There is even an episode of season 9 of Murder, She Wrote (“The Dead File”) where Jessica finds herself ensnared in a comic murder mystery that rivals the fun of the Ellery Queen “Comic Book Crusader” episode. The only real crime in Ellery Queen Mysteries is that this show only lasted for one season, for a total of 22 episodes. But if you haven’t seen it yet, you are in for a real treat. Highly recommended. Check the WRL catalog for Ellery Queen Mysteries. Like many little girls I took dance class as a child. Dressed up in my pink tutu, tights, and soft leather shoes, I would pirouette around the room until I would collapse in giggles on the floor from dizziness. Dance was a fun way to move around but never blossomed into a desire to be a dancer, plus I never had the passion or natural skill to commit to the endless hours of practice. Nevertheless, I remained fascinated by dancers and their dreams to pursue dance professionally, especially ballet. So when I came across the Australian television show Dance Academy, I had to check it out. Tara Webster’s first dream is to fly, but since gravity gets in the way she takes up dancing instead, because in the moment dance feels like flying. So at age 16 Tara auditions for and is accepted to the prestigious National Dance Academy in Sydney. Little does she know that her education isn’t just about how to be a ballerina but also how to live away from home, work, love, and bounce back from disappointment. She’ll have to assess her dedication to her craft versus her desire to be a normal teenager. Tara and her friends love to dance for various reasons and work hard to pursue their dreams. They are also typical teenagers living in a metropolitan city, testing their boundaries and their mettle to be professional dancers. The show includes the requisite girl next door, the bad boy, the catty nemesis, and the rebellious best friend, and they have the experiences of the first crush, first love, and first betrayal. But the show also illustrates the hard work and dedication it takes to succeed in dance, incorporating hours of repetitive practice and the drama of competition. Dance Academy doesn’t rely on profanity or shock tactics to navigate the challenges of adolescence. It’s a show that manages to be wholesome without being saccharine and dramatic without devolving into diabolical soap opera machinations. Enjoy this show with the dancers in your life or enjoy it for being a fun glimpse into the world of a professional dance school. Check the WRL catalog for Dance Academy.